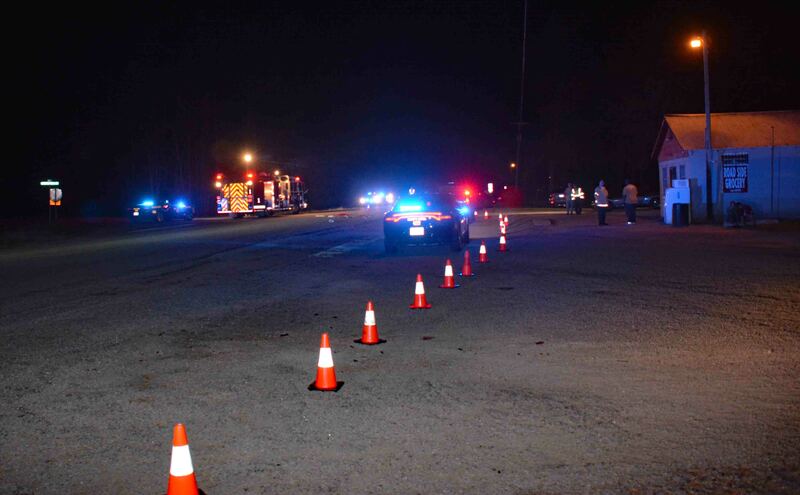 Incident # 19-02211 – A Colleton County man was critically injured in a motor vehicle collision Sunday evening 31-March at 21:00 at the intersection of Hendersonville Hwy (US Hwy 17-A) and Combahee Road. The man had apparently lost control of the motorcycle he was driving and was lying in the southbound lane of Hendersonville Hwy. 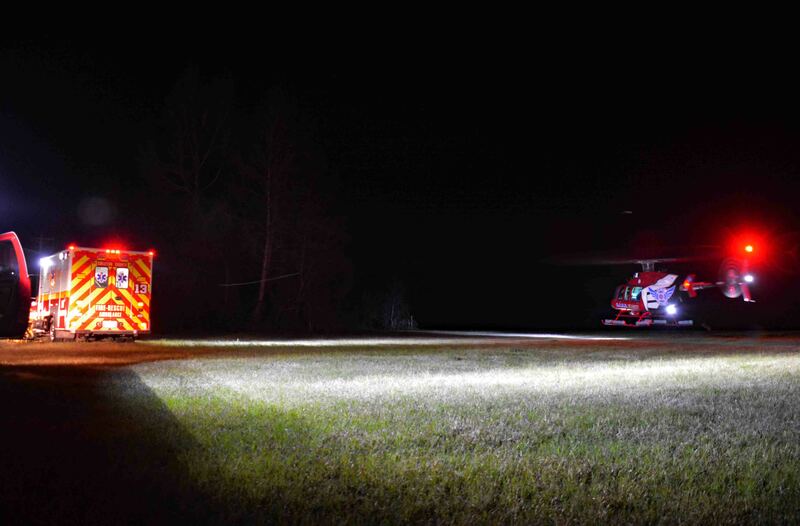 A passenger car traveling southbound on the dark stretch of rural highway, struck the man. The driver of the car was not injured and immediately stopped to render aid. An off-duty Firefighter-EMT arrived minutes later to assist. 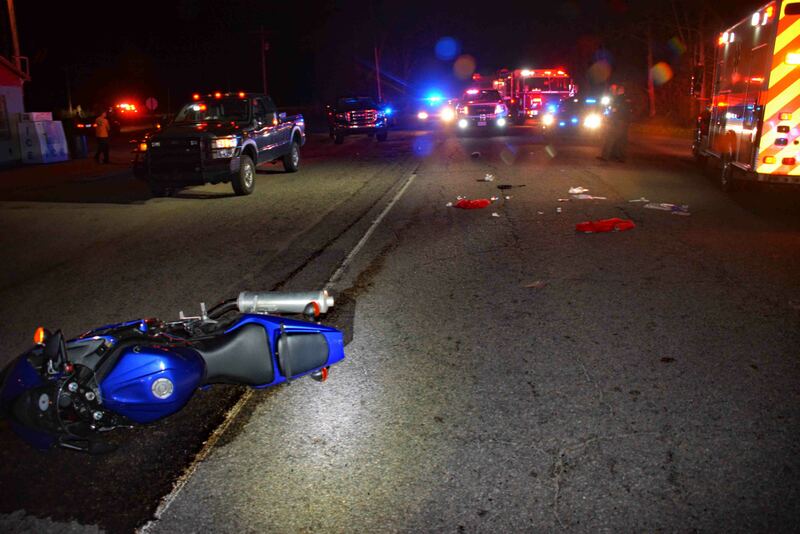 The motorcycle driver received multiple traumatic injuries, was unconscious and in critical condition. Firefighter-Paramedics arrived a short time later and requested the C.A.R.E. Flight helicopter to respond to the scene. Crews worked diligently to treat and stabilize the man. C.A.R.E. 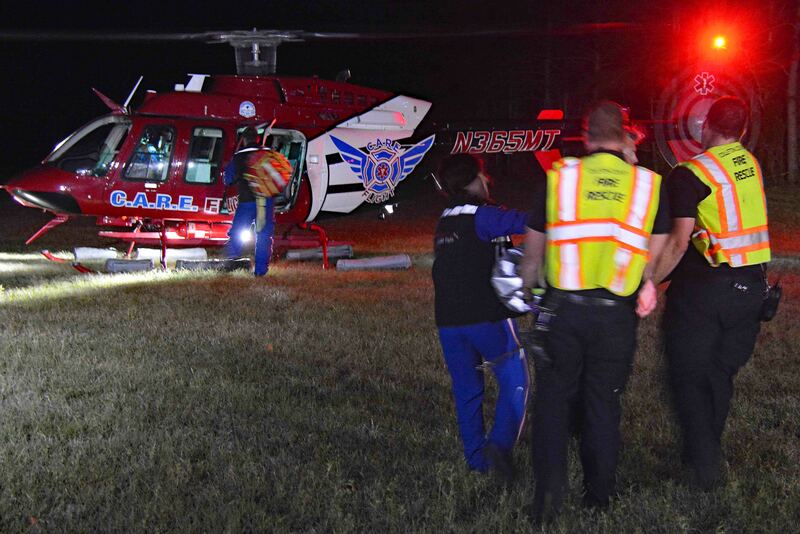 Flight landed in a field at the intersection and the patient was quickly transferred to the Flight Crew, then flown to the Trauma Center at MUSC in Charleston. The SC Highway Patrol is investigating the crash and the Sheriff’s Office assisted. Hendersonville Hwy in the area of the accident was closed for three hours. Engine 1, Medic 13, Battalion 1 and Car 112 responded. Battalion Chief Scott O’Quinn served as Incident Commander.